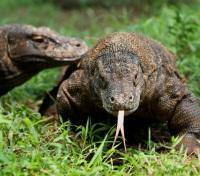 Search for komodo dragons in the wilds of Rinca Island. 4x4 into Java’s rainforests then hike to the rim of Ijen Crater. 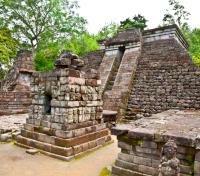 With your private guide, explore the mysterious Candi Sukuh temple. 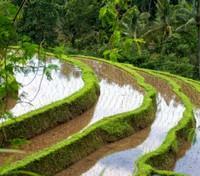 Visit local villages and get a sense of daily life in northern Bali. Featuring expertly selected premium accommodations. Experience an exotic, once-in-a-lifetime journey through the isles of Indonesia. Led by expert private guide, explore Bali, Yogyakarta, Komodo National Park and Mount Bromo, stopping to immerse yourself in all of the spiritual, cultural and historic highlights along the way. This adventure includes all transfers, internal flights, premium hotels and much more. Incredibly, there's only one place in the world to meet the majestic Komodo Dragon, and we bring your there for a unique, and unforgettable experience. Entering Komodo National Park, your boat passes many small remote islands, while slowly gliding through crystal clear water. On land, you'll be led by a local ranger to find several of these endemic dragons, while also encountering other fauna such as deer, buffalo, long-tailed macaque, and wild boar. Just one of the many highlights of your incredible journey through Indonesia. This historic colonial style hotel has been fully renovated. The hotel offers the facilities and comfort of a modern hotel while maintaining the traditions of the past. 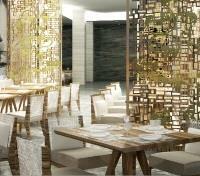 All 144 rooms, including 10 suites, offer private balconies and are furnished in a modern style with local touches. The Paprika restaurant specializes in Asian fusion cooking. The 1918s terrace bar overlooks an open-air courtyard and the trendy Vino Wine Bar features nightly entertainment. 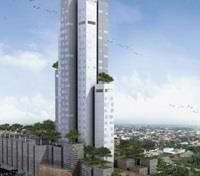 This morning, you will be picked up from your hotel and driven to Prambanan village to visit the Prambanan Temple. The hindu temple complex was erected in the 9th century while Java was ruled by the Hindu Sanjayas Old Mataram in the north. 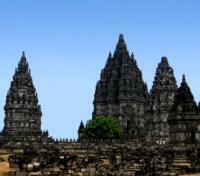 The complex consists of 3 major temples/shrines such as Candi Shiva Mahadeva, Candi Brahma, and Candi Vishnu. Enough time will be given to walk around and observe the beautiful carvings and the neighborhood shrines such as the Candi Palosan and the Candi Sewu. The Ramayana story is carved into the walls of the temples. 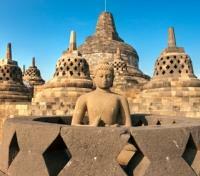 This tour will bring you to the world's biggest Buddhist monument complex, Borobudur. Looming out of a patchwork of bottle-green paddies and swaying palm tops, this colossal Buddhist relic is one of the continent's marvels. Built around 800 A.D. after the decline of Buddhism and the shift of power to East Java, the monument was abandoned soon after its completion. For centuries the complex lay forgotten, buried under layers of volcanic ash. Climb up to the top and enjoy a wonderful view on the Menoreh mountains. Enough time is given to stroll around the complex and to discover its beauty. Afterwards, continue to visit the nearby temples such as Pawon and Mendut Temple. A transfer to from Yogyakarta to Solo, with a private vehicle and English speaking guide is provided. Transfer time is approximately 2 hours and 5 minutes. 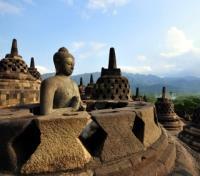 Today enjoy a full day tour of the ancient capital of Java, Solo (Surakarta). Start the day with a visit to the Puri Mangkunegaran, located in the city center. This royal palace dates back to 1757. Afterwards, proceed to visit the famous ever-crowded textile market Pasar Klewer. Try out your bargaining skills, because this is the place to buy batik. Also see Solo's flea market, which sells antiques and all sorts of bric-a-brac. Lunch will be served at a local restaurant. 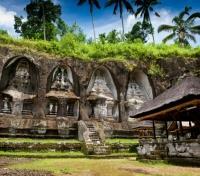 After lunch, drive east of Solo to visit Java's most mysterious and striking temples, Candi Sukuh. The temple stands 900 meters above sea level on the western slopes of Gunung Lawu. This temple is an impressive example of the late Majapahit architecture. Afterwards, drive back to your hotel in Solo. Located at the gateway to Solo, “The Spirit of Java”, Alila Solo is a modern urban retreat that is set to become an icon in this heritage-rich city. A city steeped in ancient traditions and heir to the Mataram kingdom, offering access to the many cultural and natural wonders of Central Java, from royal palaces and magnificent, mysterious temples to exquisite batik textiles. This landmark luxury hotel, Solo Indonesia rises above the city’s main commercial avenue, sets new benchmarks not only in service and style but also offering the largest ballroom and events space in Central Java. Whether in the city on business or to lap up the culture, guests can indulge in bespoke service and a myriad of technology-driven, resort-inspired facilities – from Executive Lounge to Spa Alila, from rooftop bar to grand ballroom – that are second to none in the region, making Alila Solo an ideal venue for business travelers, corporate retreats and relaxing city escapes entwined with enriching cultural encounters. Enjoy an early breakfast at your hotel before taking a scenic transfer to the train station to catch your Executive Train to Bromo. Arrive at Mojokerto train station and visit Trowulan, a major center of the vast empire Hindu Majapahit (1293-1500). 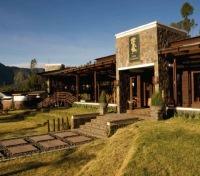 Proceed to Cemoro Lawang by car and check in to your hotel in Bromo. Lunch will be served at local restaurant. Jiwa Jawa Resort Bromo is located at Wonotoro, Sukapura in Probolinggo, East Java, 2000 metres above sea level, in a breezy mountainous tropical climate. From stunning modern, tropical architecture to well-crafted interior made of the best wood, with eco-friendly, water-based finishing, each lodge is designed within a beautiful landscape to be suitable for guests to have a familiar interaction through outdoor activities. In the early morning, after breakfast, you will head out with your driver/guide to one of the highlights of this journey. Drive to Mount Panajakan to marvel at one the world’s most beautiful sunrises. After taking in the natural beauty of the Indonesian mountain ranges, you will continue your drive to Mount Bromo, crossing the sea of sand along the way. After a short rest you will continue on to Banyuwangi for your overnight at the Ijen Resort. Transfer from Mount Bromo to Probolinggo Train Station with an English Speaking Guide. Upon arrival at Probolinggo Train Station you will board a train with your guide to Banyuwangi. Upon arrival at Banyuwangi train station you will be transferred to your accommodation. Transfer time is approximately 6 hours. 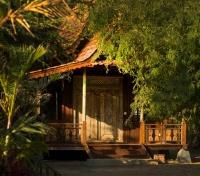 The philosophy at Jiwa Jawa is founded on three pillars: Jiwa (soul), Kekeluargaan (family) and Lingkungan (environment). As such, Jiwa Jawa Resort Ijen aims to reflect a unique combination of East Javanese culture, extended hospitality and environmentally friendly practice. 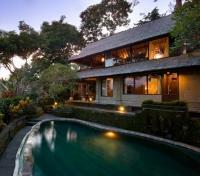 Located between Bondowoso and Banyuwangi regencies, the location is rather discreet but inviting. Explorers who travel far would be able to witness magnificent view of the blue fire caldera at dusk and of the turquoise lake surrounded with reef-like sulphur walls at noon, with a tranquil place to rest at night. Owing our existence to the nature and culture of Ijen plateau, strive to be both environmentally and culturally conscious in one harmonious balance. Proper waste management, no tree cutting policy and carbon footprints minimisation are all a part of our commitment to preserve the environment. 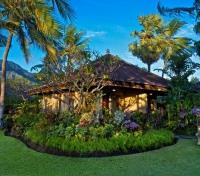 Jiwa Jawa Resort Ijen, where beauty of nature and charm of culture harmoniously come together. After an early breakfast, you will be picked up by a four-wheel drive vehicle that will carry you through the rural villages, coffee and clove plantations, and then into one of Java’s last rainforest's. Humidity, wildlife, giant ferns, and big trees cover the slope of the mountain, to arrive at the Park Ranger’s post to begin the 90 minute hike to the rim of Ijen Crater. The stunning view is unveiled at 2883 meters. Afterward, you will walk down the mountain and return to the hotel. Continue on to the Ketapang harbor where you will catch the public ferry to Bali. 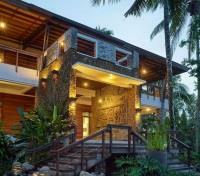 On arrival at Gilimanuk, Bali harbor, you will proceed to your hotel. 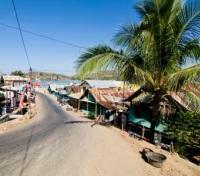 A transfer between the harbor and your hotel with a private vehicle and English speaking guide is provided. Nestled away between the Bali Barat National Park and the Java Sea, the secluded and exclusive Matahari Beach Resort & Spa is a perfect destination for connoisseurs of luxury and relaxation. Experience Matahari’s way of life. Wake up to the sound of chirping birds in the tropical garden, listen to the ocean waves during your morning yoga session, explore quaint neighbouring villages and surroundings on bike, and get pampered in the award winning spa before you indulge in a gourmet dinner in a romantic pavilion. Guests of Matahari Beach Resort & Spa have the choice to participate in a great variety of activities. The resort has a selection of tours that will take you to the most beautiful spots on the island. Active guests might opt for a guided trekking or mountain bike tour through the picturesque landscape of the northwest, or explore the fascinating underwater world of Menjangan Island (part of Bali Barat National Park). 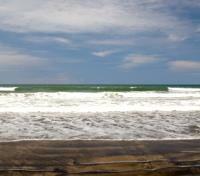 Today you will drive to Tampak Siring, about 10km northeast of Ubud. Visit the 11th century Gunung Kawi Temple, also known as the royal tombs, where flights of stairs lead down to the valley of the sacred Pakerisan River. Two sets of temples were carved out on the cliffs on either side of the river as a memorial for one of Bali’s most ancient royal family. Afterwards continue to visit a holy spring of Tirta Empul, surrounded by a large shrine to honor the God Indra. There are bathing pools which are believed to have strong curative powers. On the hill behind this temple is a presidential guest house built by the late President Soekarno. Upon arrival at Labuan Bajo airport on western Flores, you will be greeted by a representative and transferred to the pier. Get onboard a speedboat for your tour transfer to Rinca Island in Komodo National Park. Walk through the typical dry forest and explore the Island of Komodo dragons, where you will find not just the dragons, but you might also encounter other wild animals like, deer, wild buffalo, long-tailed macaque, wild boar as well as numerous birds. Keep your eyes open as sometimes you'll find the young Komodo dragons on the trees. A local ranger will lead you through this nature reserve. Next, take a boat to Kalong Island to see thousands of bats fly out from their nest. 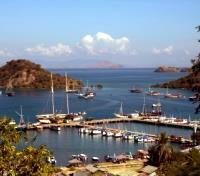 After the tour you will proceed to Labuan Bajo for the night. Lunch will be served on board the boat. In the morning, enjoy a lovely breakfast served to you at your hotel. Afterwards, your private English speaking guide will pick you up for an excursion to the vibrant local market and Batu Cermin Cave. Transfer to the airport in Labuan Bajo. The Samaya in Seminyak is set right in the heart of a sophisticated residential scene occupying two prime positions - one being a Seminyak beach front location with spectacular, unobstructed ocean views during the day and arguably the finest location in the area to catch the famous Seminyak sunset, whilst the other property The Samaya Royal Courtyard Villas which are just located across the street, 2 minutes apart and a few minutes from the bustling entertainment and shopping district of Legian, 20 minutes from Bali International Ngurah Rai Airport.